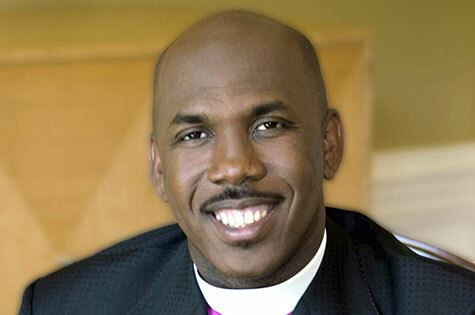 Bishop Joseph W. Walker, III is destined to change today’s generation. Walker, Pastor of Mt. Zion Baptist Church in Nashville, Tennessee, has been a national leading force in bringing young people back to God. His music reflects a testament of faith, perseverance and hope. Reared in Shreveport, Louisiana in the 1970s, Bishop Walker grew up in a household parented by Rosa and Joseph Walker, Jr. Bishop Walker states that his father was a strong disciplinarian, who owned and operated a janitorial service during his son’s adolescent years. 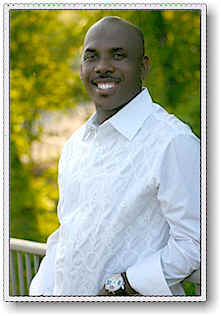 Bishop Walker spent most of his youth working with his father and gained a strong work ethic and a reverence for God. In 1992, at the age of 24, Bishop Walker began his pastorate at Mount Zion with 175 members. Presently, the ministry has grown to over 22,000 and continues to grow at a phenomenal rate of over 1,800 souls per year. Under Bishop Walker’s leadership, Mount Zion 's ministry has expanded beyond its original location in the Historic Jefferson Street Corridor to eight weekly services in three locations. 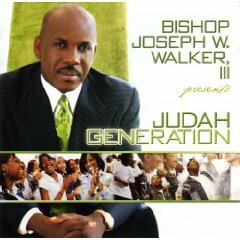 Bishop Joseph W. Walker Presents Judah Generation was released in 2006. As the first collaboration between Walker’s J3 Records and Light Records it showcases the powerful, energetic voices of his 200-voice youth choir, Judah Generation. Showcasing the powerful, energetic voices of Nashville’s youth, this group’s debut spans the gamut of gospel music. The lead single, already heating up radio, is “I Am Free”. The urban, contemporary track beckons the audience to “take back all the enemy stole” and finds the group making a declaration of ownership and freedom. Judah Generation sings this one with fervor as does lead singer and album producer Mark Kibble, known for his work with Take 6 and numerous other artists. “We Need A Healing” is a reflective, emotive cut featuring the dynamic vocals of Kendra Carr. Her exquisite soprano and amazing anointing makes this a memorable track. Providing something for the old and the young, the choir pulls out some gospel favorites. The choir takes two church standards and melds them into a clever medley, the James Cleveland creation, “There’s A Brightside Somewhere”, and the Thompson Community Singers’ hit “There’s No Way”. The combination makes for great “church”. Sunday morning wouldn’t be complete without the high-powered sounds of “We Come To Worship”, a song which finds Judah Generation wailing “Magnify Him” on this up-tempo, hand-clapper.